It's by no means a stretch to say that the City of Liverpool and the adidas Trimm Trab are intrinsically linked. There's no shortage of accounts and local tales as to why there's such a bond between the two. 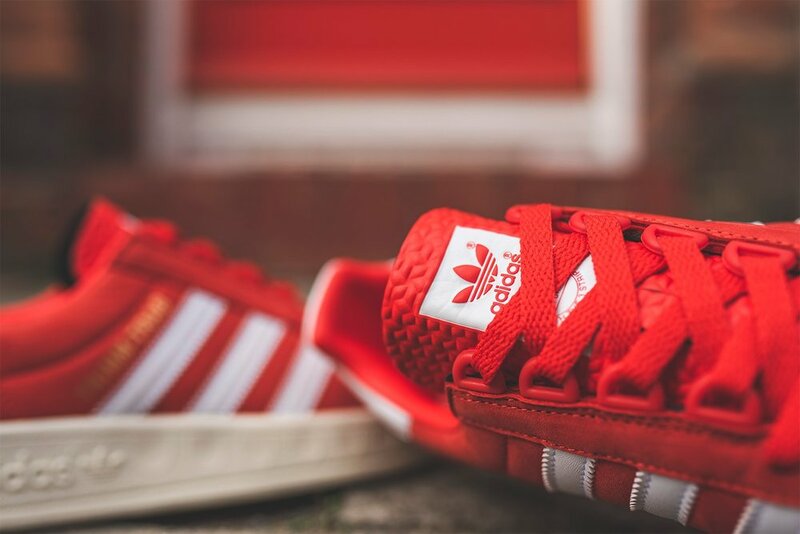 Here's a brief insight into why the Trimm Trab is such a hit with the Merseyside faithful as well as a look at adidas's latest creation paying homage to the city of Liverpool. Genesis, 1975, the Reds have clinched their first trophy under manager Bob Paisley; the first division title. Queen release Bohemian Rhapsody and the adidas Trimm Trab rolls off factory lines and onto the feet of keen European joggers. 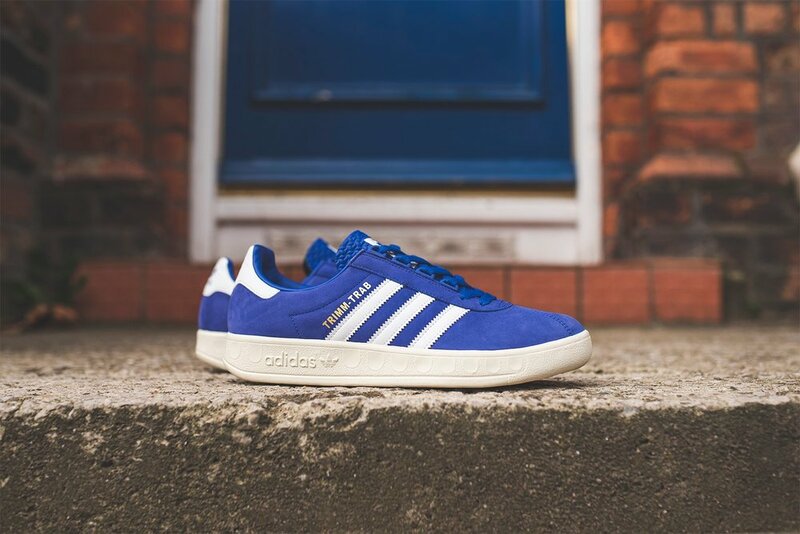 Originally launched as a multi-purpose training shoe it wasn't long before the emerging 'casual' movement caught onto the style whilst abroad following their clubs in Europe. Perhaps the most iconic story surrounding the Trimm Trab and Liverpool is that of legendary local sports store owner Robert Wade Smith. Who ventured to the continent to buy up as many Trimm Trabs as he could get his hands on to supply the ever-increasing demand back home on Merseyside. The Trabs quickly became a scene staple and cemented itself as a classic in the adidas line up. Its appeal spread from the North West of England, appearing on the feet of discerning dressers on the terraces the length and breadth of the country. Perhaps the biggest testament to the Trimm Trab's impact on local culture and a sign of its enduring charm is the fact these Trabs have transcended their humble training shoe roots to become part of the Liverpudlian lexicon. 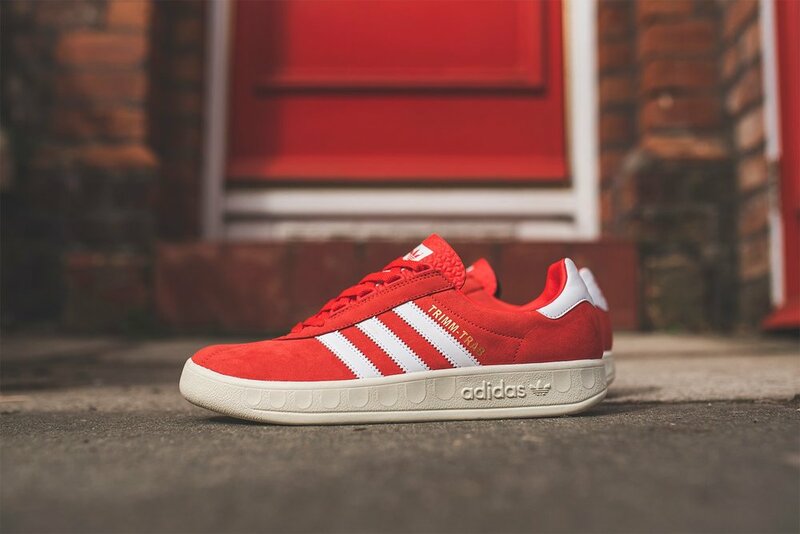 For April 2019, adidas are inspired by the relationship between Liverpool and the Trimm Trab and were treated to two colourways in bright shades, each a doff of the cap to your favourite Merseyside sporting institution. 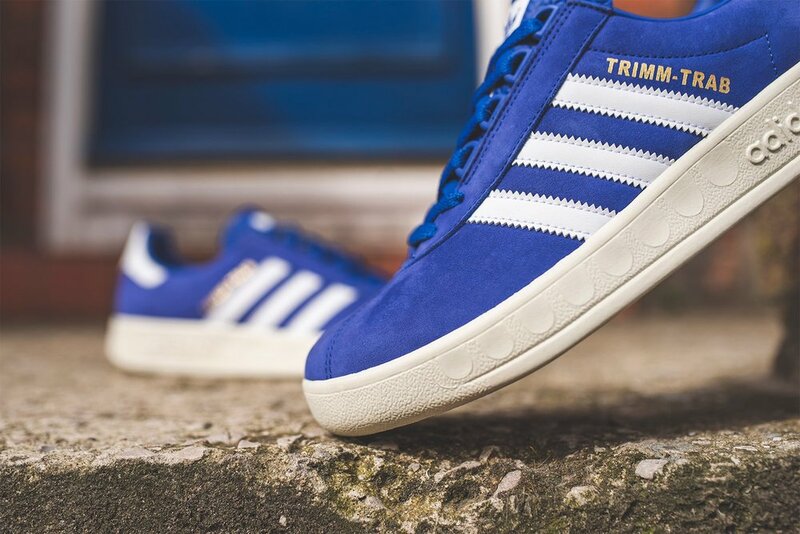 Nubuck covers the upper with adidas signature gold foil lettering proudly calling out the Trimm Trab name. White leather overlays on the Stripes and heel tab provide a sharp contrast while the coordinates 53⁰ 26’ 07.5”N 2⁰ 57’39.1”W are embossed in collar lining of each shoe leading to the centre of Stanley Park, Liverpool. Releasing April 13 at selected retailers such as Hanon.